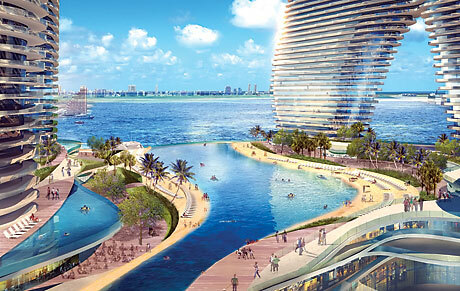 Billions of dollars from foreign investors may propel Miami into the ranks of the world’s elite cities. The construction crane has returned to the city’s skyline with an Argentine company’s new condo tower. Foreign developers — and projects backed by foreign investors — have emerged in force [“Foreign-Backed Projects,” page 44], and more may be in the offing. “There are a lot that have invested — and it’s not even public — that are of equal financial strength and stature as Genting and Swire,” says a land-use attorney for those two firms, former Miami Beach Mayor Neisen Kasdin, managing shareholder for Akerman Senterfitt’s Miami office.